I am finally on Google+. That’s the good part. The bad part is, only the one friend who invited me is on it, in my Circles, so I don’t know what to do. I will have to wait for my friends to accept my invitations. Meanwhile, anyone who knows me, and requests for invitation,if I know you, I will grant it. On the home screen, it feels just like Facebook. But am sure, at the core, it’s totally re-engineered. At least Google will not fail miserably at this attempt, since they have manage to create a huge buzz about Google+. Here’s a screenshot. FYI, Google plus gadget is available for chrome browser in its app store, for ease of access. Also, people with Android 2.1 and above can download a native app for their phones, which is already available in Android market. 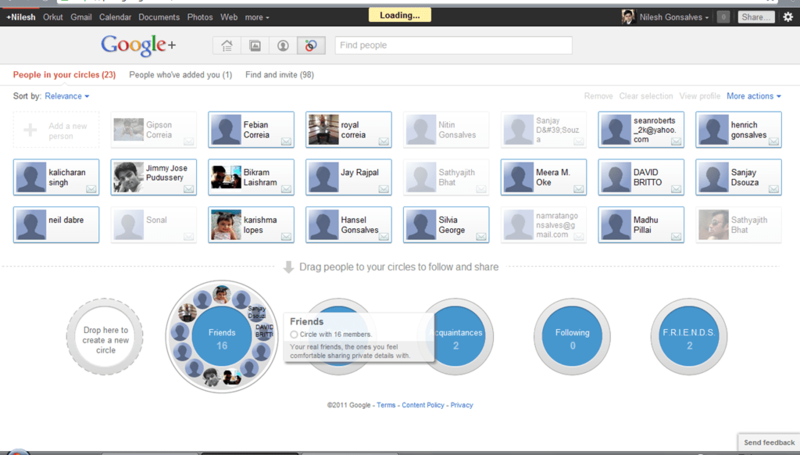 BTW, the most promising feature which I feel Google+ packs is the hangout and the Circles.